The Construction Careers Pathway (CCP) Alliance is part of a collaborative effort to provide year-round construction career exploration opportunities for Minnesota youth. It is the intent of the CCP Alliance to provide work-based learning exposure starting in middle school and concluding with a career in the Minnesota construction industry. It also is the intent to have an outreach emphasis given to females and members of minority and immigrant groups who historically have been underrepresented in the construction industry. To fulfill this effort, the Construction Careers Foundation (CCF) has engaged in strategic partnerships with the Minneapolis and Saint Paul Building and Construction Trades Councils, Apprenticeship Coordinators Association of MN, Construct Tomorrow and participating school districts. On behalf of this collaborative effort, CCF, comprised of contractors, their trade associations and labor leadership, pursue and receive funding to support these collaborative efforts. An overview of CCF and a list of alliance partnerships and funding sources is provided below. An intern receives an overarching six-week introduction to construction career opportunities within the building trades industry (e.g., carpentry, pipefitting and electrical). Interns are also exposed to industry-related careers such as architecture, surveying, estimating, project management, and design build. This opportunity prepares interns to select a construction career path – union apprenticeship training; construction-related post-secondary tracts; or direct entry into the construction workplace, if desired. Over a nine-week period, interns visit up to 16 different apprenticeship training centers where they receive training and supervision from industry experts as they complete projects using both hand and power tools. LEARN2BUILD is a summer experience for students in grades 4-9 combining the fun and games of Science, Technology, Engineering and Math (STEM) with exciting activities focused on the construction building trades industry. Kids work individually and in teams to learn about construction concepts and designs. Students build take-home projects replicating “real-world” construction materials and processes. The experience includes a combination of guest builders, team competitions, projects and field trips. The goal is to educate students on opportunities for careers in the construction industry in a fun, hands-on environment. Construct Tomorrow provides hands-on educational opportunities for high school youth in the building and construction trades throughout the state of Minnesota. Construct Tomorrow is a not-for-profit organization that offers a construction industry-driven program comprised of apprenticeship training coordinators, contractors, educators, government agencies and community representatives. The program offers resources for youth regarding apprenticeship training as a viable post-secondary option with earn-as-you-learn training and education. The goal of the program is to provide relevant information about apprenticeship career training and opportunities in the construction industry. Providing follow-up services to those participants that express an interest in construction trades. The Building Minnesota Apprenticeship Program (BMA) is an entry-level, multi-craft training program that provides opportunities for select individuals to enter a career within the construction trades industry. This program serves adult women, veterans and members of minority and immigrant groups who, historically, have been underrepresented in the construction trades. Building Minnesota is open to all organized construction unions and employers in Minnesota; with an emphasis on licensed crafts such as electrical work, pipe-fitting, plumbing and sheet metal. Building Minnesota partners with employers and unions on many local projects including the US Bank Stadium, TCF Bank Stadium, Target Field, Midtown Exchange and The Minneapolis Library. Seventy percent of those who enter the program transition to a single-craft union apprenticeship program and are well on their way to a rewarding career in the union building trades. Working in tandem with the national office of Helmets to Hardhats, a national nonprofit organization that introduces military vets to career opportunities in construction, the Construction Careers Foundation is building a Minnesota Helmets to Hardhats program, supported by the Minnesota Legislature.  The mission of Helmets to Hardhats is to recruit, retain, assist and support the participation of National Guard, reserve, and active-duty military members and veterans in construction trades apprenticeship programs registered with the Minnesota Department of Labor and Industry. Activities covered under the grant also include connecting active members and veterans with career training and employment opportunities in the building and construction industries. Helmets to Hardhats Minnesota is led by Joel Welter, a pipefitter and active member of the U.S. Army Reserve.